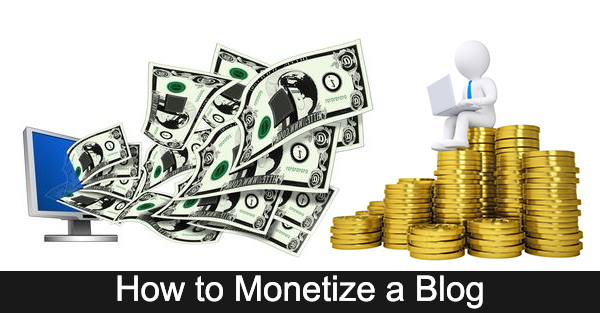 If you know how to monetize a blog, then you can use your blog as a source of income. 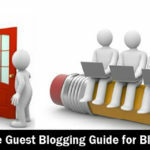 Many people like to make a few dollars from their blog as extra spending money, while for others it is their full time income – they are professional bloggers. Whichever of these two extremes you belong to, monetizing a blog for profit makes sense. Why put effort into creating and running a blog if you are not going to benefit from it financially. Here are some ideas on how to monetize a blog, and make some legitimate cash for the time you spend on it. The simplest way to monetize a blog is to use Google AdSense. If you use Google as a search engine, and then check the right-hand search results, you will find adverts referred to by Google as ‘Ads’ or ‘sponsored’ results. These are pay-per-click (PPC) adverts published under Google’s Adwords program. They are optimized for certain keywords, and people pay to have them published in the search results pages. The advertisers pay Google for every click on their advert, whether that results in a sale or not. You can have these averts published on your own website or blog, and you get paid every time a visitor to your blog clicks on one. Google refers to this as its AdSense program. It is free to join, and you can place ad blocks as per your wish anywhere on your blog. Apart from AdSense, you can sell advertising space on your blog. 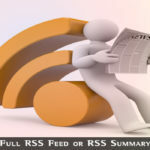 This can be published in the form of a text box similar to AdSense ads, or as graphic banner ads. You can even be paid for publishing a positive review of a particular product or website. The prices advertisers pay will depend on your daily or monthly visits, particularly unique visitors. The average price you could charge will depend on your blog and the number of regular and unique visitors you get. Realistically, expect to charge $30 – $500 each month depending on the size of the advert and the number of visitors you get. 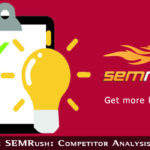 Some charge by PageRank, but that is not directly related to the number of visitors – only to backlinks. CPA (cost Per Action) advertising makes you money whenever a visitor to your sites clicks on the link and takes a specific action. This is usually either filling in a form with their contact details or taking a free trial of a product. You often see CPA advertising published on ‘Offer’ sites or ‘Prize’ sites. With the latter, for example, visitors will register with the site and participate in a number of offers to win a laptop or iPad. These offers are actually CPA ads. You get paid a few dollars for everybody that registers their contact details. This can be a lucrative way of monetizing a blog if spend time on optimizing this type of income. For example, some people make a great deal of money by publishing such offers over multiple websites. In fact, they make enough to purchase the laptop as a draw for all those that complete the program. If you use just one or two CPA ads on your blog you could make a reasonable income. In affiliate marketing, you sell products owned by other people. You are effectively working as a salesperson that gets paid for every unit sold. Although some physical products do well, most affiliate marketers sell electronic products that can be delivered online or even by email. No need to post anything! It can all be done automatically using an autoresponder: order taking, payment, receipt and delivery. If you are using affiliate marketing, in fact any form of marketing on your blog, your autoresponder can also be used to create a list of visitors that want to hear more from you. You can use that list to make you money. Offer a free eBook or report in exchange for their email address, and you can email them regularly when you have products that may interest them. Software and eBooks are the most popular forms of affiliate products. You can earn an average of 50% of the selling price of the product. Clickbank is the largest online repository of electronically deliverable affiliate products. You are certain to find a product to sell that relates directly to the topic of your blog. There are many other affiliate products that you can find by carrying out a Google search for ‘affiliate products’ – and you can include your niche in that search term. For example, ‘affiliate dog training products’ or ‘affiliate forex products.’ Commission Junction is another worth consideration – this affiliate company offers may physical products for you to sell. Read the review of online affiliate sites. Sites such as PayPerPost will put you in contact with companies or individuals willing to pay you to put their post on your blog. Naturally, you will require a fairly large following, but this is yet another way how to monetize a blog. 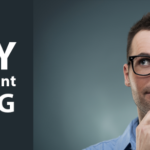 Monetizing a blog for profit involves using as many streams of income as possible, and you cannot use only one of those listed above if you want to make a living from your blog. A sponsored post involves you publishing an advertising post on your blog. This might also be in the form of a review, where the outcome is that the product reviewed is recommended to your readers. It could even be reviewed along with a number of alternative products, with that product being concluded as being the best value for money. Fundamentally, you are being paid to publish a post that is a direct advert for a specific product. There will also be a link to that product in the post. You can negotiate that to open in a new window, although you may be paid less for this. Adverts tend to be paid more if you allow the link to lead the visitor from your website to theirs. It makes sense. Knowing how to monetize a blog can make you a fair amount of cash over a month. In some cases, you have little work to do other than place an advert on your blog and make sure it stays there for the contracted period (make that a month.) With others, you may have a bit more work to do, but you should charge accordingly. Affiliate marketing is the most common way of monetizing a blog for profit, because you have no need to get a third party involved. Third parties get interested in your own advertising and SEO to make sure you are trying to maximize your visitors. They can sometimes try to interfere with the way you promote your businesses. If you don’t want an eagle eye over your blog, then affiliate marketing, AdSense and CPA are post-paid advertising techniques, where you don’t get paid until you have a satisfactory click or sale. With paid advertising, you must be seen to be active in promoting your blog online and increasing your monthly visits – not only regulars, but attracting new visitors every month. Professional bloggers can do this. Are you blogging seriously or just for fun and a bit extra spending money? 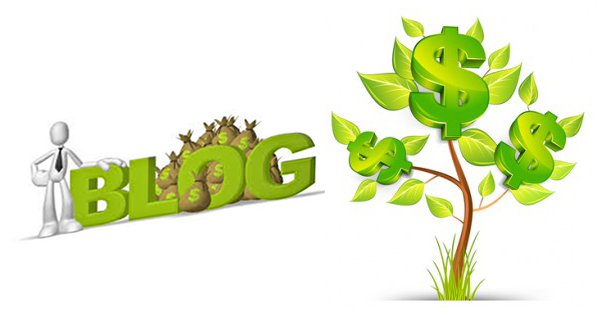 If you know how to monetize a blog to meet you personal needs, then it is not particularly difficult. Monetizing a blog for profit on a larger scale is full time work – but can also pay a full time income. What’s best for you will depend on the time you have to spend on it, and the income you must make. That’s amazing. I was looking for such a way to get the most from my traffic. Thanks for sharing this guide. Thanks, Rajesh. I would like to add to this list – Media.net and Native ads. Sponsored posts is something I really don’t like as I have to now pay money on others’ blogs just to guest post. What do you think about tying up directly with sellers and cutting the middleman off completely? I am running just two sites in Hindi and English. A good amount of traffic is there. I am looking for advertisement except Adsense and affiliate marketing. Is it possible? You can review products, accept paid posts, It is also a good source for monetizing.